The first imports of the Honeybear Brands 2019 Chilean Honeycrisp are leaving their southern hemisphere orchards and will begin to arrive at U.S. ports in early April and are expected to be delivered to retail supermarkets no later than April 15th. The crop represents the first fresh picked Honeycrisp apples to arrive at U.S. retail in this year. Since Honeybear’s first Chilean Honeycrisp crop was planted in 2008 in the Araucania region of Southern Chile, production has grown to more than 400,000+ cases in 2019, making Honeybear Brands the leading importer of record, not just of Honeycrisp but all apples and pears out of South America. Likewise, Honeybear is also the leading organic Honeycrisp importer with supply doubling compared to 2018 as more acreage is transitioned from conventional to organic production. Honeybear’s 2019 crop is both the largest production volume of high quality fruit to ever to come out of the company’s southern hemisphere orchards thanks to two key factors. Exceptional growing conditions with just the right balance of warm days, cooler nights and perfect rainfall have given the crop the classic traits of the perfect Honeycrisp: high color, firm texture and juicy, crisp bite. And the precision work of the company’s team on the ground in growing, picking and packing premium quality apples is second to none. 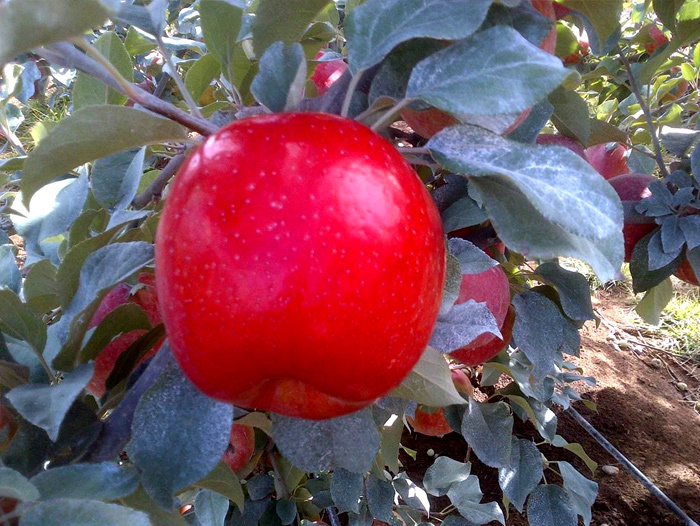 Honeybear Brands is a leading grower and developer of premium apple varieties. The company started as Wescott Agri Products, a family run apple orchard in the early 1970s. From that early start several generations ago, today Honeybear still employs the same hands-on, personal attention to each and every apple variety produced through the Honeybear Apple Varietal Development Program. Honeybear is the leading provider of Honeycrisp apples in the Northwest region and offers complete domestic and global supply integration from varietal development to growing, packing, shipping and retailer support. The company has close to one hundred varieties in various stages of commercial testing and is renowned for bringing retail star Pazazz to market.